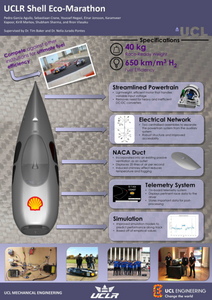 The UCL Racing Shell Eco-marathon team. The Shell Eco-marathon brings together University teams from all over Europe to play a role in shifting the focus towards energy solutions our environment can sustain. The ‘Prototype’ category is built around uncompromising fuel efficiency, with all non-essential equipment removed, in order to eliminate every gram of excess weight. 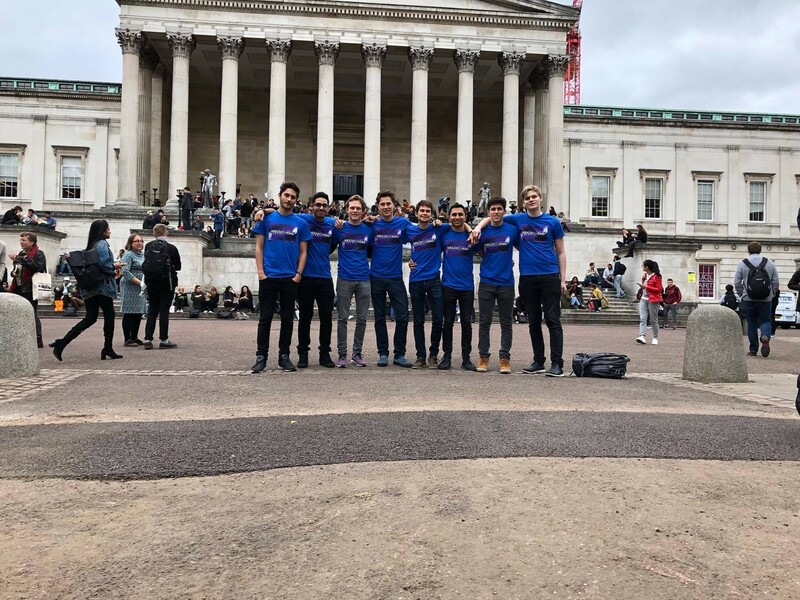 The 2018 UCLR SEM team aim to raise the efficiency benchmark to reach 750 km/m3 by streamlining the powertrain configuration and optimizing fuel cell efficiency. Moreover, it was proposed for the first time to organize the electrical network of the vehicle under a centralized assembly. On the mechanical side, the main goals were to assess the trade-off between a sprag clutch and the freewheel mechanism, reduce the weight of the interior components by another 3 kg and improve ventilation conditions in the driver compartment. The 2018 design features a re-designed powertrain system tailored to this year’s competition track. The new configuration is formed of a fuel cell – supercapacitor – motor arrangement, eliminating inefficiencies and additional weight of unnecessary converters and smoothing out power demand curve to maximize fuel efficiency. Moreover, the introduction of an industry standard wiring loom has now organized the electrical network of the vehicle under a robust assembly, improving the data logging capabilities of the vehicle. In addition, improvements in driver ventilation were achieved by re-designing the windows without compromising aerodynamic drag, and concluded that a freewheel mechanism would minimize frictional losses compared to the proposed sprag clutch. Read about the 2017 Shell-Eco marathon.